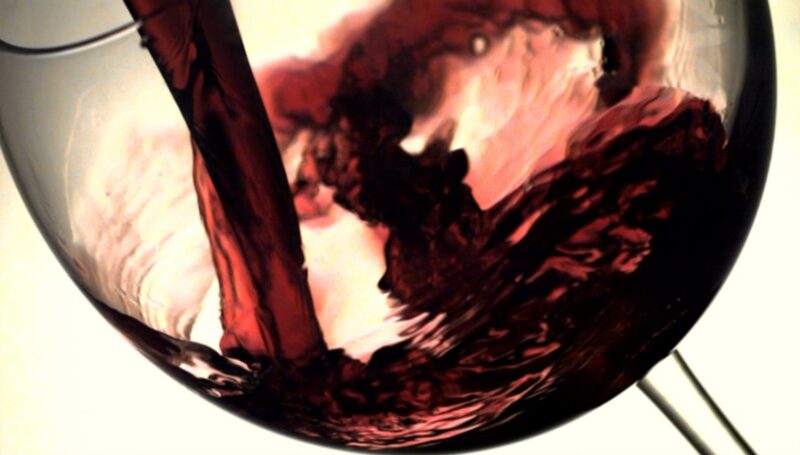 On occasion, we feature either individual wines or a particular winery or event. Read on for current “Wines of the Week” and other Featured Wines! Those who know the wines of Domaine Grand Veneur may also be familiar with Alain Jaume, the negociant line from the Domaine. The Jaume family has been making wine in the Southern Rhone since 1826, aiming to feature the unique qualities of the different appellations of the Rhone. Vieux Terron is made mostly with older Chateauneuf-du-Pape vines, and is a blend of 85% Grenache, 10 % Syrah, and 5% Mourvedre. With none of the wine seeing new oak this Chateauneuf features the bright red fruit flavors of Grenache while being surprisingly elegant, even light on its feet. The Syrah & Mourvedre contribute to the sneaky, savory core underlying those primary red fruits. Though remarkably easy to drink in its youth, the fine grained tannin structure makes me think it will also develop into something compelling in the mid to late 2020’s. While drinking wine we don’t often spend too much time considering the agricultural nature of the grapes. Some grapes develop naturally in the wild while some are bred with specific goals in mind, much like most of the produce we consume. 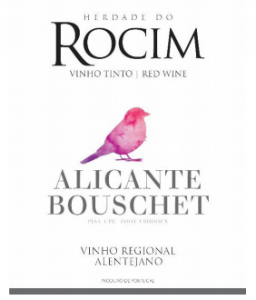 Alicante Bouschet is a grape that was bred with purpose. In the 1800’s a botanist named Henry Bouschet developed this grape with the goal of a grape that had intense color, strong fruit flavors, and remarkable vigor in the vineyards. Great success. Herdade do Rocim farms their 40+ year old vines of Alicante Bouschet in the southern half of Portugal, in the Alentejo region. They farm the wine organically, making use of wild yeast for fermentation, and then age the wine in oak for a bit. Alicante Bouschet is the grape to try for Zin or Shiraz drinkers. Domaine la Tour Beaumont, found due south of the town of Tours, has been owned by the Morgeau family since 1860. Today it is Pierre & Sandra Morgeau who lead the team of workers that tend to their 26 hectares. In the vineyards they focus on biodiversity and natural fertilizers for their grape vines. And in the spirit of too much information, all of the manure that they compost comes from their neighbors cows. Beaumont’s Loire Valley Gamay is exactly what it is supposed to be: refreshing, inexpensive, and delicious. The wine could be described as coming as close as possible to the Platonic Ideal of Parisian bistro wine. Serve a few bottles of this wine with a light chill for maximum refreshment and watch the wine vanish before your eyes. I don’t always drink Merlot, but when I do it’s from right bank Bordeaux. Don’t get me wrong, good Merlot is made all over the world, but I can’t stop coming back to Bordeaux for this stuff. In Bordeaux they’ve been growing Merlot since around when the Romans showed up, and they’ve never been afraid to blend it with other grapes to make more balanced wine. The 15 or so acres of Chateau l’Etoile de Viaud are owned by the Chevalier family. The fourth generation wine making family is headed up by two brothers making wine in Lalande de Pomerol and other right bank appellations. Their red is a blend of 90% Merlot and 10% Cabernet Franc from vines grown on sandy, gravelly soils. Production is about 3,750 cases per year, with the wine being aged in a blend of old and newer oak. Full bodied, bold red fruit structures, some notes of French oak with light menthol & mint qualities. 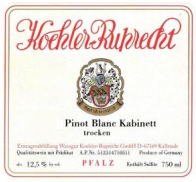 The story at Koehler-Ruprecht can be summed up with, “slow & steady.” The relatively scant 25 acres owned by Koehler-Ruprecht are found in Germany’s Pfalz where they grow Riesling, Pinot Blanc, and a half dozen other local varieties. In the vineyard they don’t irrigate, chemical fertilizers or herbicides are never used, synthetic treatments for fungus or pests is a rare occurrence only in vintages with punishing conditions. In the cellar, the slow & steady philosophy continues. Fermentation takes place at its own pace in large old barrels made from German oak, followed by extended lees contact. This practice of not mucking around with good juice creates wines of richness, finesse, and ageability. True to that style, the 2014 Pinot Blanc is full bodied and maintains the necessary acid to keep it from tasting flat and flabby, while showing no signs of tiring from age. A tasty bottle of German white wine indeed.